In 1978 the AICP undertook the task of developing guidelines to be used to foster responsible business practices between production companies and their contracting-clients. If you have any questions regarding AICP Guidelines, please contact Denise Gilmartin, Vice President, Business Affairs at deniseg@aicp.com. The AICP’s goal is to help ensure that in the fast-paced environment of this industry, members are able to provide services in a straightforward manner to agencies representing advertisers. The following guidelines are designed for informational purposes to alert members to issues to consider, and are intended to provide suggestions on best practices that should benefit all interests involved, including guidance for a competitive and transparent bidding arena that is intended to operate within the confines of U.S. law. See also: The Bidding sections of the AICP National Guidelines - Digital and the AICP National Guidelines - Live Action (located in those secions below) for more information. The AICP Digital Guidelines specifically address issues fundamental to digital production (i.e. interactive media, visual effects, design, animation, and other forms of digitally produced content), and create a roadmap for the establishment and understanding of good business practices. Through continued use of these guidelines and explanation of their rationale, producers, agencies and advertisers, will be able to help create understanding and fair industry standards. Issues covered in these guidelines include: payment terms, creative contributions, intellectual property, schedules, as well as many other production issues. In 1978 The AICP undertook the task of developing guidelines to be used to foster responsible business practices between production companies and their contracting-clients for projects utilizing live action production. Since that time these guidelines have been recognized as the industry standard. Formerly AICE, the following documents are AICP Post Production's business affairs and technical specs guidelines. Regulations and legal requirements surrounding workplace harassment are evolving daily as issues and incidences have gained more prominence in recent months. As such, the expectations to put measures in place to avoid occurrences in all business environments are evolving very quickly as both social acceptance and legal obligations are redefined. 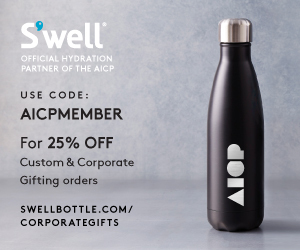 The AICP is committed to providing the most up to date tools and information to aid its member companies in crafting sound policies and procedures for all aspects of an efficiently-run business. As with many things, common sense prevails. No employee – whether on staff or freelance – should ever feel as if they are in a workplace where discrimination and/or harassment is tolerated by employers. AICP - working with attorneys Jaclyn Ruocco and Jennifer Schmalz, of the Labor and Employment practice group at the law firm of Kane Kessler, AICP’s General Counsel – has crafted a comprehensive memo as a primer to define workplace harassment and discrimination, and what steps employers should take in order to create a safe workplace. A key component of an anti-harassment policy is providing proper training that complies with various state regulations and laws. Regardless of what is required by law, a strong foundation can be developed if all companies ensure that supervisors they employ have received training in addressing harassment and discrimination complaints. As outlined in the guidelines, currently four states – California, New York, Connecticut and Maine – have harassment training requirements. To find out more about training resources, you should discuss with your payroll service provider; many have great insight into state to state compliance and training resources. For example, CSATF (Contract Services Administration Trust Fund) provides training in California to members working under a collective bargaining agreement and will also provide training to signatory companies for staff and other employees as well. For companies interested in more information, please contact: Jeremy McDowell at jmcdowell@csatf.org. AICP will continue to monitor state and local laws and policies regarding harassment and discrimination and will keep the membership apprised of developments. If you have any questions or need further information on this issue, please contact Kristin Wilcha at kristinw@aicp.com. Environmental care, conservation, and corporate responsibility have prompted many in the production community to search for solutions that are kinder to the planet. Many AICP member companies, agencies and clients, are adopting responsible, regenerative practices to effectuate behavioral changes in the way they, and their vendors, do business. By taking steps to reduce expended resources and waste, companies will maximize production efficiency. The guidelines that help fulfill this call to action are outlined in three sections – communication with your production crew or staff; basic practices your company can implement directly; and advanced recommendations for companies interested in engaging their vendors in environmental stewardship. While some circumstances in production make it more difficult for certain guidelines to be followed, AICP strongly encourages member companies to implement responsible production practices. As we all know, efficiency is inherently green! Production can be unpredictable but there are still times when giving a day’s activities extra thought can result in greater efficiency. Thank you for adopting sustainable practices on-set and in the office. The following guidelines should be utilized when using third party trademarks in a spec spot. The use of such guidelines will minimize the risk that the owner of the third party trademarks will complain about the practice. Use of these guidelines is not a guarantee that the third party trademark owner will not complain or that the complaints will not ultimately be found to have a legal basis. AICP suggests that you consult knowledgeable intellectual property attorneys before using any pre-existing intellectual property in a spec spot. Production companies are engaged by marketers and their agencies for the express purpose of applying their artistry, unique skills and specialised talent to produce a commercial that fully realises the potential of the creative idea to and enhance and breathe life into marketing concepts. Production companies are driven and committed to consistently find new and innovate ways to improve the creative product, find efficient solutions and keep the talent pool available in the advertising industry fresh and strong. In order to keep focused on these core areas of expertise, business issues should be as standardised and predictable as possible. The following points outline basic principles of contracting a production company to produce a commercial. The topics discussed ensure that advertisers and agencies receive the highest quality product possible, and that production companies are treated fairly in the execution of each project.